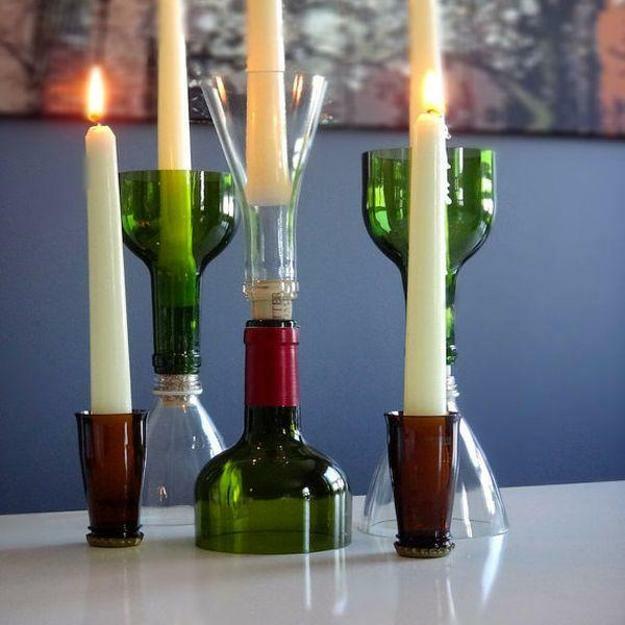 Recycling of glass bottles is hard when you need to cut, fire or melt the material, but an original look of the table decorations, vases, dishes and candles centerpieces made of bottle glass is worth the troubles. 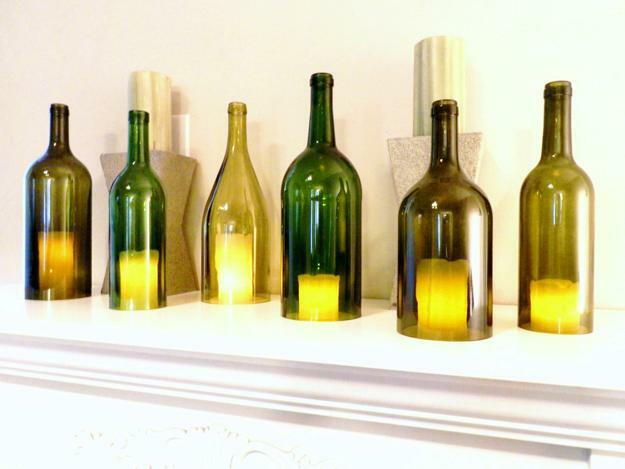 Recycling glass is an excellent way to show off your artistic nature and Green attitude. While giving a unique look to holiday tables, the recycled glass decorations make special eco gifts and beautiful accents for everyday table decor. 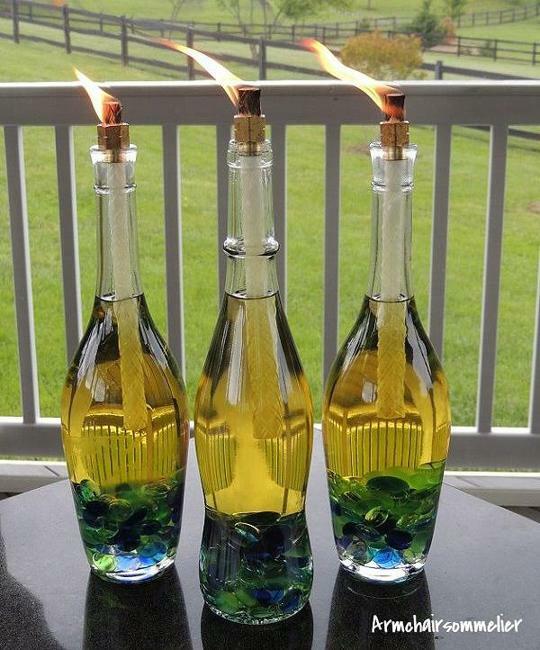 Recycled glass and candles centerpieces are delightful and original. 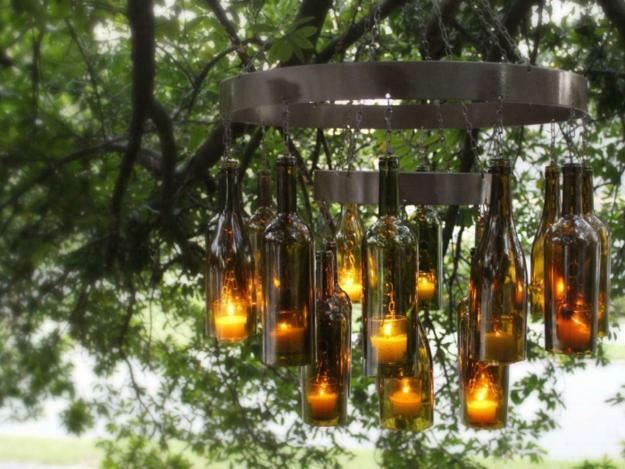 Creative recycling not just helps declutter your home and protect the Earth, but decorate home interiors and outdoor living spaces with fabulous glass lanterns, vases, plates, trays, wind chimes and other home and garden accents. Lushome brings to light an amazing collection of glass works. 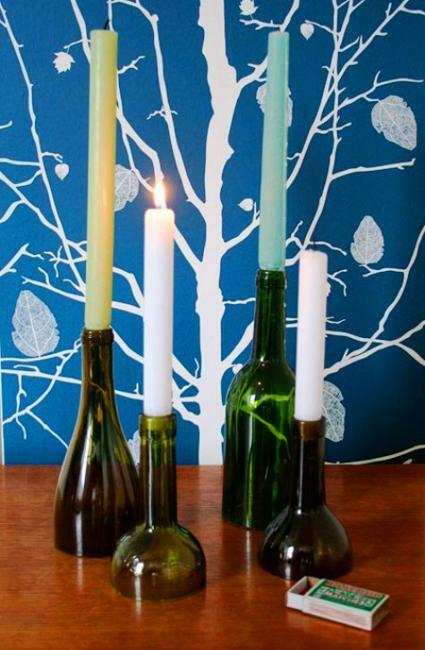 It demonstrates how to recycle bottles into candles centerpieces and create attractive and modern table decorations, vases and bowls. 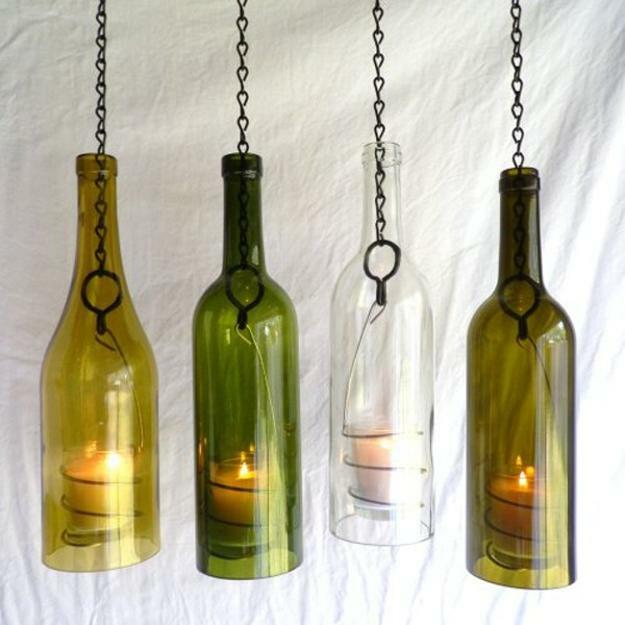 Glass recycling is an art, and the decor accessories, tableware, and bottle lights create very unusual and spectacular items. 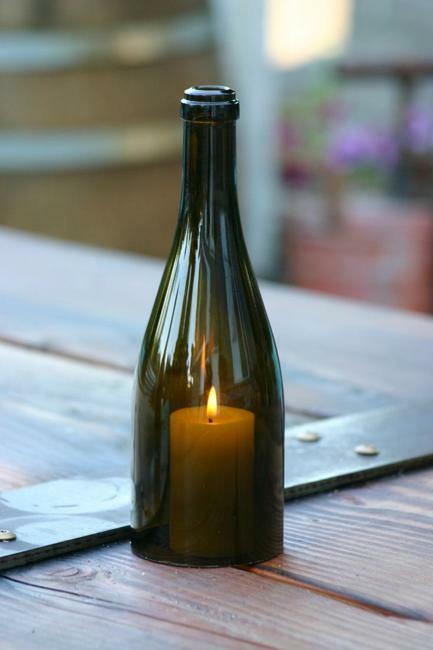 Glass bottles are an attractive material for candles centerpieces. 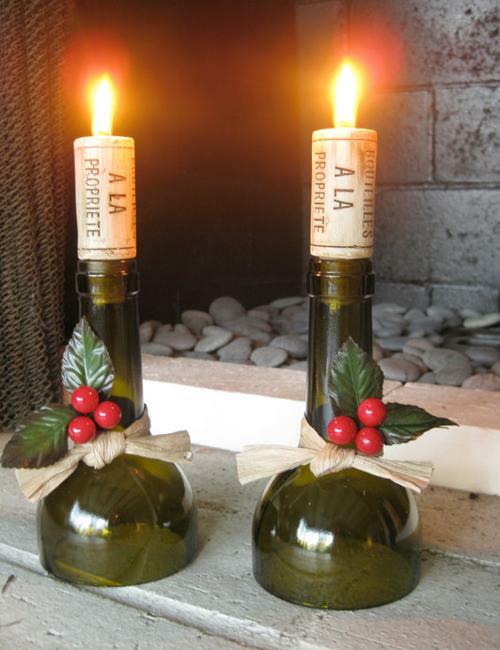 It gives a surprising universal appeal to handmade table decorations. 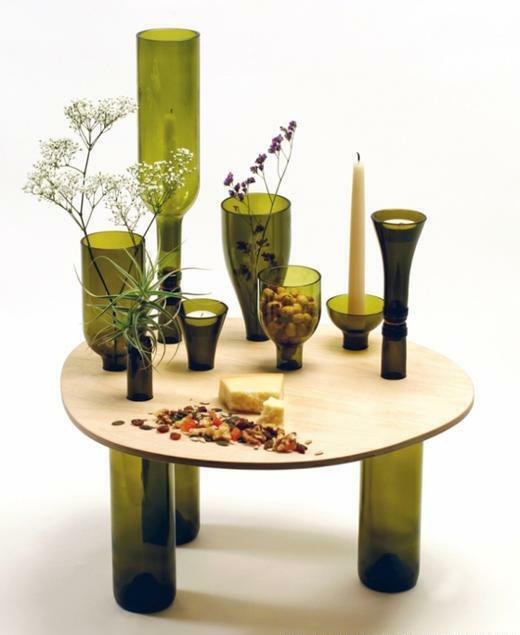 If you do not trust in your taste and a sense of style, or you feel anxious and fearful when creating something new for your table decoration, get the ideas from this collection that can guide you in glass recycling projects. 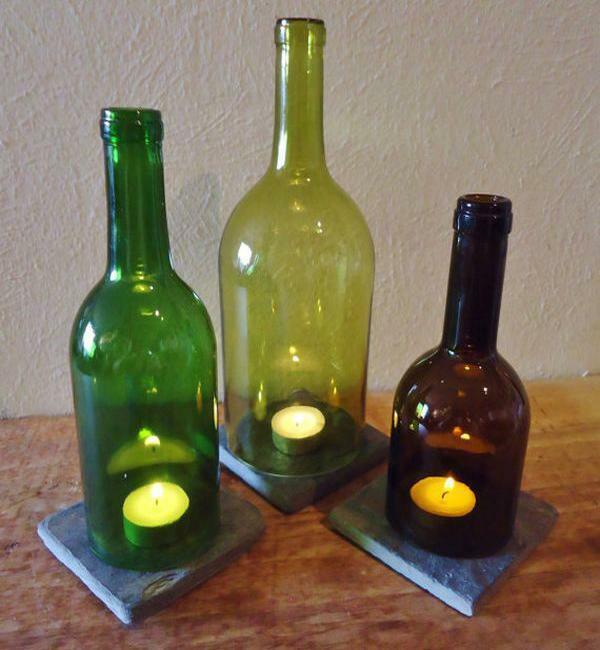 These ideas for recycling glass bottles can provide you support you need while giving you freedom to experiment with the material which is perfect for making table decorations. 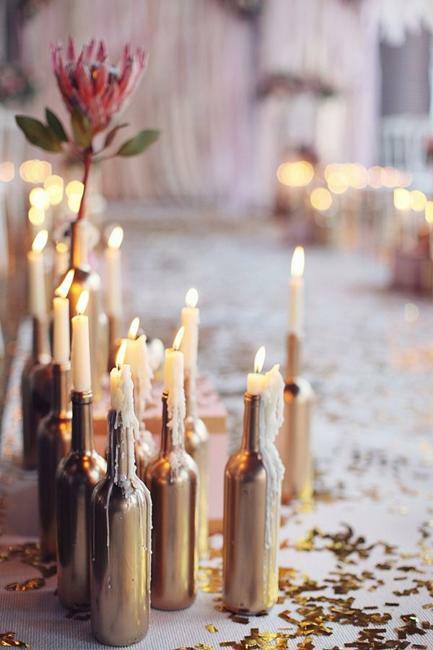 Softly glowing candles make mysterious, romantic, and elegant table centerpieces. The decorations made with glass bottles and miniature lights are surprising, warm, and spectacular at night. When recycling, you can only predict how your accents are going to look. Doing crafts is a peculiar and surprising. 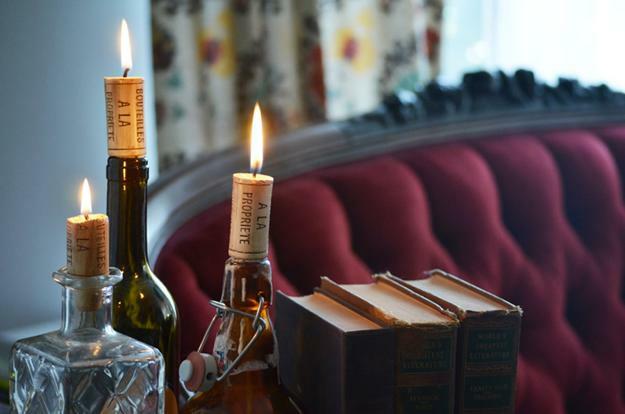 You can not be aware of all the facets and problems, but whatever you make with glass bottles and glowing light will look intimate, romantic, and unique. 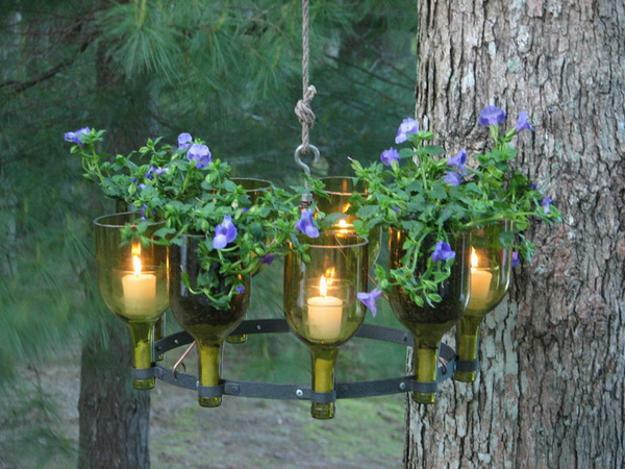 Recycling is fantastic and very satisfying. 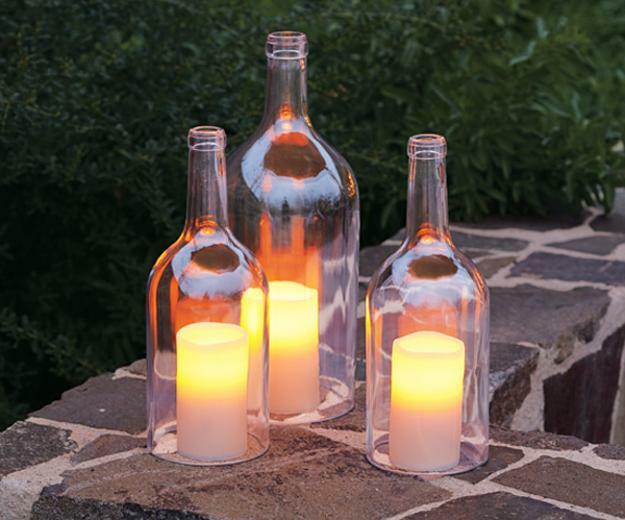 Turning glass bottles for candles centerpieces brings a mesmerizing glow and an intricate play of light and shadows into homes while adding charming accents to holiday tables or everyday dining. Unusual bowls, glasses, and vases made from recycled bottles brighten up home interiors and outdoor living spaces. 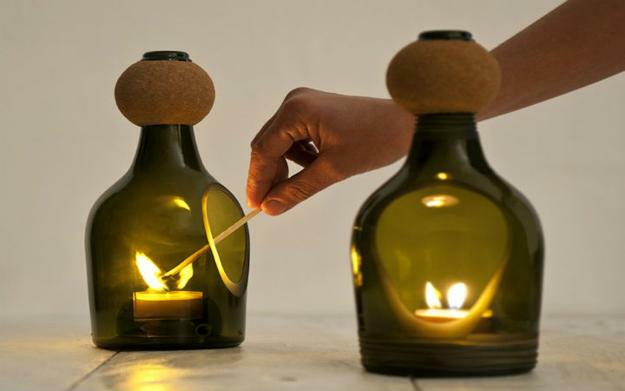 Your creativity and support of Green living ideas help to protect the planet, turn glass bottles into spectacular home accents, impressive table decorations and centerpieces, unique tableware items, lanterns and chandeliers, and gives you a satisfying feeling at the end of your creative recycling project.